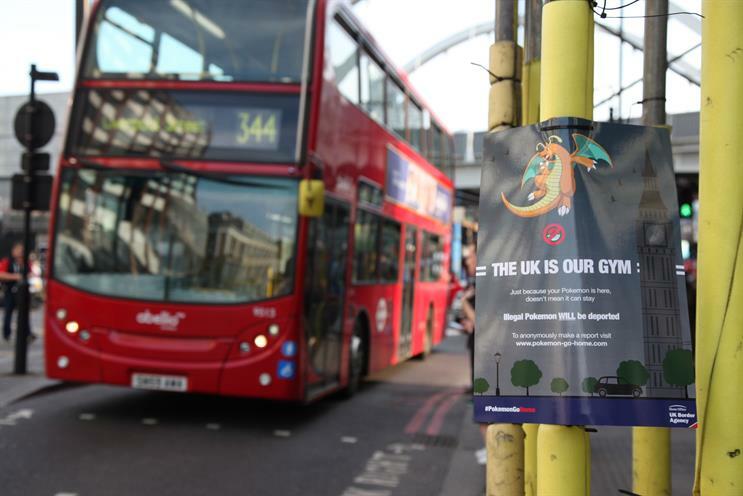 Pokémon face "deportation" in a flyer campaign by creatives to raise awareness for immigrants' rights in the wake of the UK's vote to leave the European Union. The flyers, which went up all around central London this week, warn that the creatures from the popular mobile game face eviction from the UK. The campaign is meant to draw attention to the impact Brexit could have on the country’s immigrant populaton. One of the posters reads: "The UK is our gym. Just because your Pokémon is here doesn’t mean it can stay. Illegal Pokémon WILL be deported. To anonymously make a report, visit www.pokemon-go-home.com". The posters were created by David Felton, a copywriter, alongside graphic and web designer Steve Sinyard and Evan Brown, a Los Angeles-based creative director. The campaign has targeted London landmarks as well as PokeStops and Gyms – areas likely to be seen by people playing Pokémon Go, the popular smartphone game in which you collect Pokémon characters by visiting places marked on a map. The #PokemonGoHome campaign is asking people to sign a petition to guarantee EU nationals a right to remain in the UK. It has attracted just over 5,000 signatures as this story was published. Felton, who described the stunt as an "ambush campaign", said its aim was "to get more young people to sign a petition bringing this worrying lack of certainty to the UK government." "But how to interest young people, who can barely look up from their latest escapade in Pokémon Go? The answer – frame the issue in a way we knew would ignite their passions."